For a modern take on beautiful classic furniture, look to the Carlton Collection. 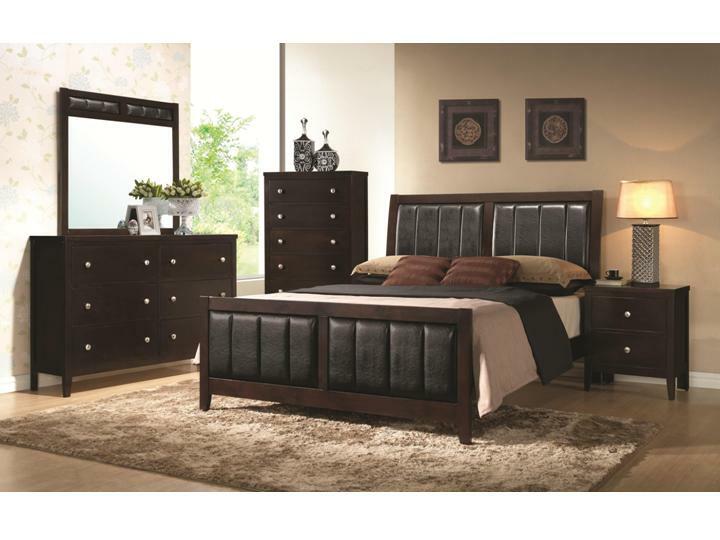 This bedroom collection is constructed from solid woods and veneers, and it's topped with a dark cappuccino finish to create a smooth, polished appeal. 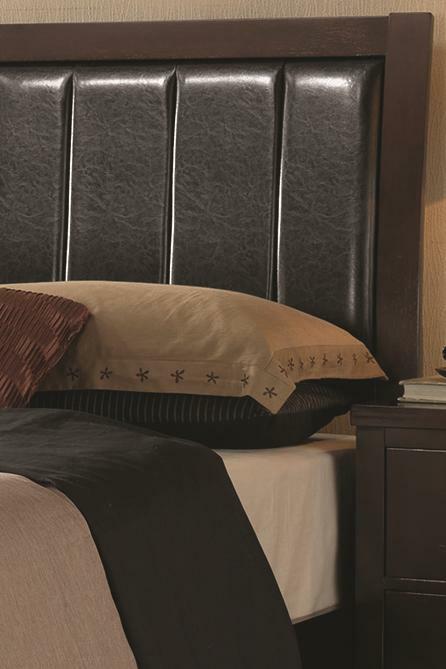 The upholstered bed totes long-lasting black vinyl, which forms a cool and subtle color scheme against the dark finish. The upholstery theme is carried through to the dresser mirror, which boasts a semi-cushioned frame. Silver knobs add a pop of color on the night stand, dresser, and chests. Each drawer is accommodated with English Dovetail joinery and center metal glides that generate stability and easy use of the drawer. Create a sophisticated look in your bedroom with the Carlton Collection.